Hip-length outdoors jacket that is slightly longer in the back and has a fixed, adjustable hood. Just as comfortable trekking as it is when biking to and from work. It provides protection from the wind and light rain showers while also offering good ventilation, which means that you will not become as sweaty as you would when wearing a fully waterproof garment. It is made from G-1000 Lite and has G-1000 Original on the shoulders. Two vertical breast pockets and two side pockets, all of which are hidden behind flaps. Two-way zipper in the front hidden behind a protective flap that has push buttons at the hem, in the middle of the chest and at the chin. Adjustable hem and push buttons at the sleeve cuffs. 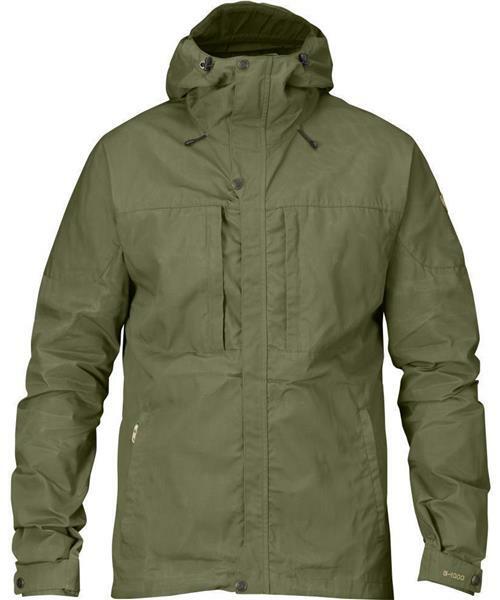 Skogso Jacket - Mens is rated 5.0 out of 5 by 2. Rated 5 out of 5 by bobjob from Great jacket, even better service Had this jacket for about a month now, got it to do some travelling. I called Valhalla to make sure I could get it on time and they express shipped it for a small extra charge. Jacket fits well and is very light. Love all of the pockets! Came in really handy. Totally happy with my purchase! Rated 5 out of 5 by Dorisssio from My teenaged son loves this jacket! Great fit and design. Extremely well built jacket. Has the option to waterproof using a rub on/iron in wax. Very cool feature - just like they used to do a century ago.